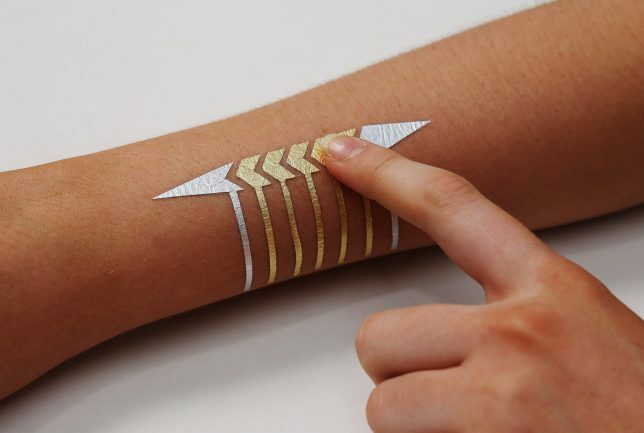 Simple but powerful, these conductive tattoos communicate data and actions to paired electronic devices, translating touch actions into digital activations. As biohacking and other transhumanist interventions go, this technology represents a relatively light-touch approach with potential appeal to a broader audience beyond your typical body hacker. 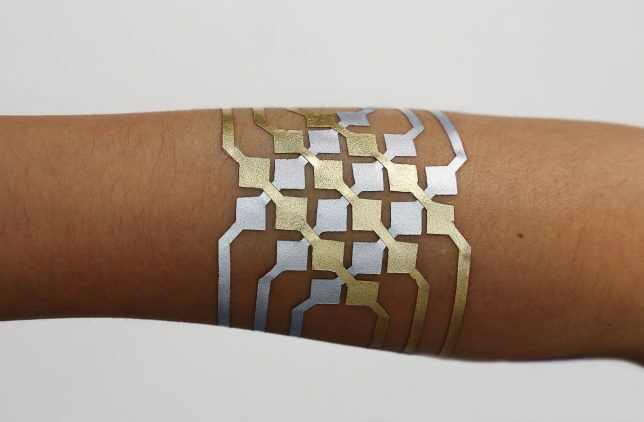 A collaboration between the MIT Media Lab and Microsoft Research, DuoSkin combines high-tech geekery with everyday fashion, putting circuits right on your skin for easy access. There are four essential configurations at work: a basic button for single-click actions, a slider to scroll, another slighter for continuous scrolls and a complex lattice that acts as a track pad. 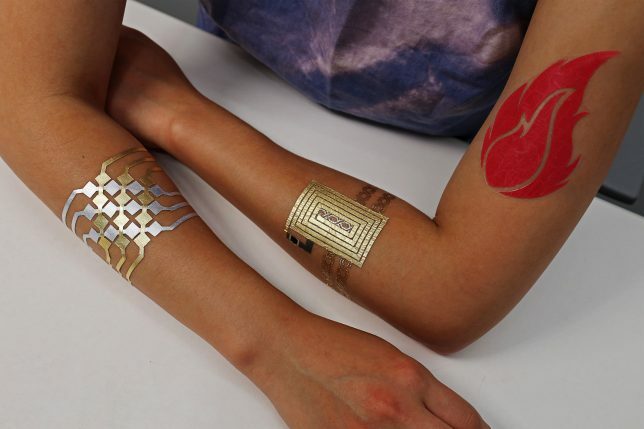 They look like gold and silver flash tattoos but perform a variety of technological feats, thanks to a microcontroller and wireless communication unit. Connected to smartphones, computers or other gadgets, DuoSkin can be used like a touchpad controller, or can change color based on temperature, or can pull and transmit biological data (and combinations thereof). Imagine: answering the phone, skipping a track in your podcast queue, turning on a TV or turning down the music with a quick swipe to your forearm. 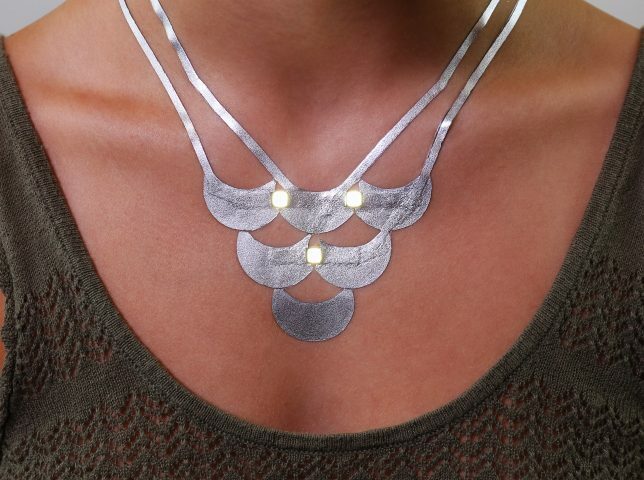 The fact that this system is easily removable is one of the key selling points, a harbinger of future mass-market tech that can be applied, taken back off and discarded, just like any other temporary tattoo.